A number of different venues are used at Frenchs Forest for a variety of sports. SOKOL Hall is a privately managed multi purpose venue, with Change Rooms, Showers and Toilets available accommodating Indoor Soccer, Indoor Netball, Indoor Volleyball. Ararat Reserve - Soccer, Touch Football. 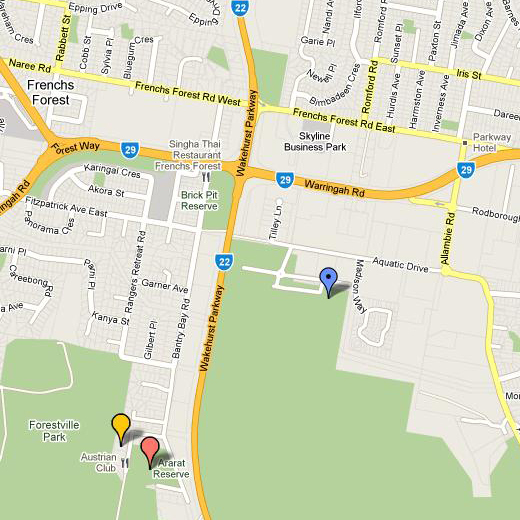 Ararat Reserve & Aquatic Reserve are managed by Warringah Council, Toilets available.